Either the home decor market or the home furnishing industry are examples of perfect fields to make use of additive manufacturing. Products such as vases, clocks, frames or lamps can be beautifully 3D printed without the product being restrained in design or budget. 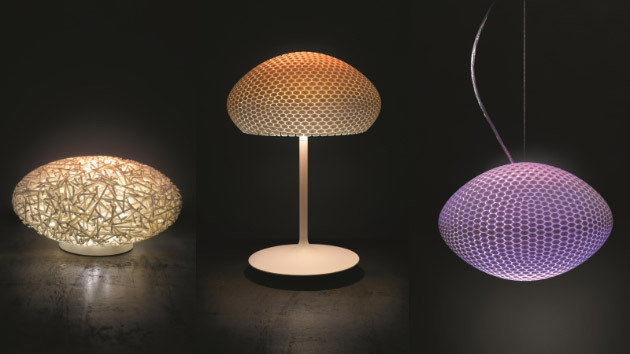 In this blogpost, we will show you 20 different types of 3D printed lamps created by independent additive manufacturing designers in order to inspire you in your work and also inform you and your company about the advantages of using additive manufacturing for your products. But first, let’s start with the basics on why you should apply 3D printing to your company in the home furnishing industry or home decor market. The additive manufacturing technology in this day and age has already demonstrated itself useful in many fields such as in the fashion industry and the automotive industry. It has proven itself as a qualitative and low-cost form of production process. 3D printing opens many doors and can be applied to many different objects and ideas. For example, let’s think of a lamp which in all its aspects can be designed in a million different ways and also be personalized by one’s own taste. A designer has complete creative control on how the lamp should look and feel like thanks to comprehensive 3D designing software. Once 3D printed, the designer can then again choose what kind of lightning to implement and how bright it should be. With complicated design comes great costs, no? Not for a 3D printer. Additive manufacturing allows complicated and personalized designs to be 3D printed quite inexpensively even when it ends up becoming prototype after prototype. Additive manufacturing not only reduces labour costs due to the automated process, it also removes steps in the overall production process which reduces costs and time. Another smaller advantage but crucial for companies whose mission statement is to prevent a overall negative environmental impact is the fact that additive manufacturing results into a smaller footprint on the surroundings by cutting down the amount of steps in the production process. Another great advantage of additive manufacturing is the option for each customer to personalize their item. In order to create personalized products without the use of additive manufacturing, customized molds or patterns would be required which costs a lot of money and results into high lead times. 3D printing requires no molds, patterns or other expensive tooling. 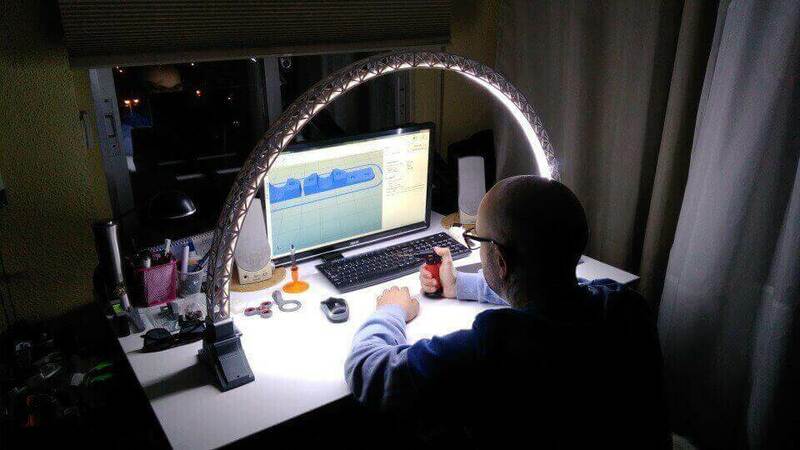 Other companies who have already been using 3D printing in their production process are for example 3Dlights.nl. 3Dlights.nl is a Dutch company who uses 3D printing for their lamps because it is a sustainable business process. The company’s mission is to create sustainable products and to prevent creating a footprint on the environment by avoiding unnecessary waste of materials such as plastic. 3D printing prevents wasting materials by reusing unused materials. Now that we went over the benefits of using additive manufacturing for home decor objects, you can find some incredible examples below. These examples are created by independent designers who have put the designs online on multiple websites either for free or for a small tip. There is a big demand for 3D lamp designs online due to the originality of the designs and the option to personalize certain aspects of it. 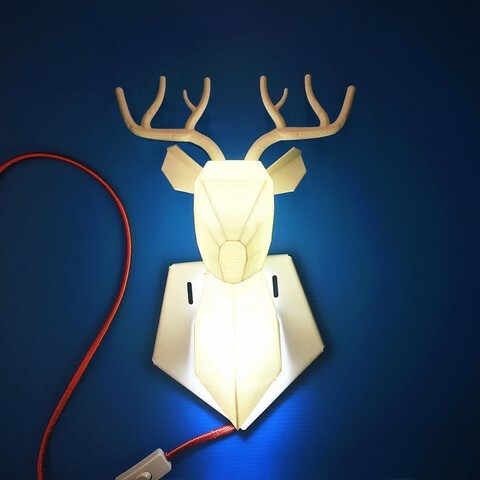 A 3D printed decorative wall lamp suitable even for animal lovers who don’t mind a mounted deer on the wall. The ears and antlers are 3D printed separately but these small pieces are easily assembled with a bit of work. This beautifully and elegantly designed lamp suits any minimalist styled decorative space to give it a bit more of an eye catcher feel due to the lamp’s originality. 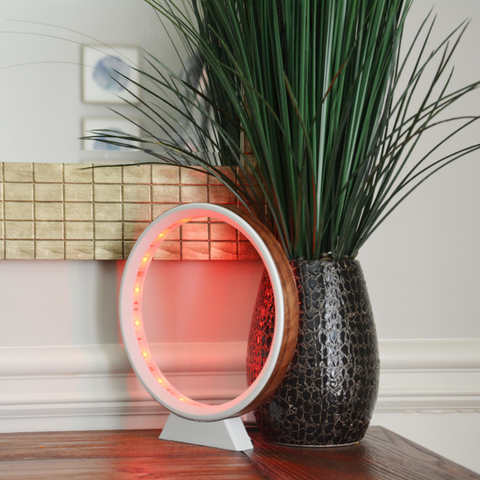 This stargate 3D printed portal lamp will take customers out of this world thanks to the vibrant and optional personalized colours. The lamp comes in two parts, the ring and the base. The combining of the parts is as easy as click and go. For the lighting some assembly is required but nothing too complicated. The main advantage of this lamp is that it is a lightweight product which can be personalized in any way as a result of additive manufacturing. This incredible and quite complicated design of a semi-see through iceberg lamp was produced inexpensively by using additive manufacturing. This 3D printed lamp is in no need of a support structure and requires only 104 grams of material which can range from regular plastics to even metal. This lamp is suitable for any modern minimalist decorated space with its sleek and crisp lined design. An overhead bridge lamp is perfect for work spaces that need extra exposure in the form of light from every corner. Besides the broad exposure, the 3D lamp is ideal for constrained workplaces since it is mounted on both sides of the desk. When in need of a wider arc, more middle segments can be 3D printed. For a higher arc, simply print some more feet segments. 3D printing allows these sorts of lamps to be created in different sizes in order to satisfy the customer’s personal measurements. 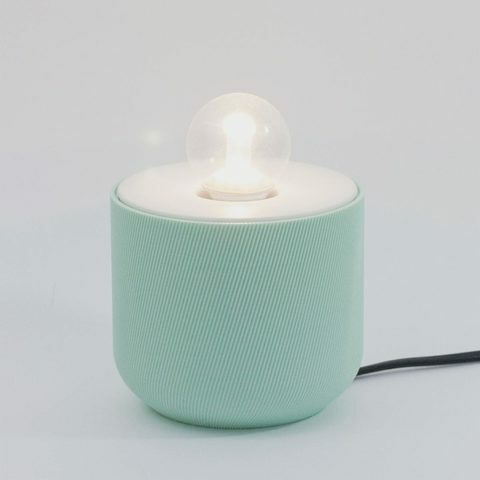 A pastel coloured 3D lamp which suits any minimalist or coastal interior design with its soft colour palette. With adjustable lightning settings and endless colour options, this lamp suits any mood. A relatively easy design with endless possibilities. 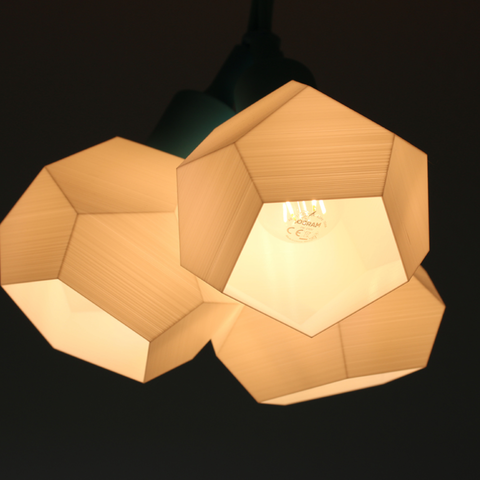 An easy to assemble 3D printed lamp with the ability to reflect images onto the wall. 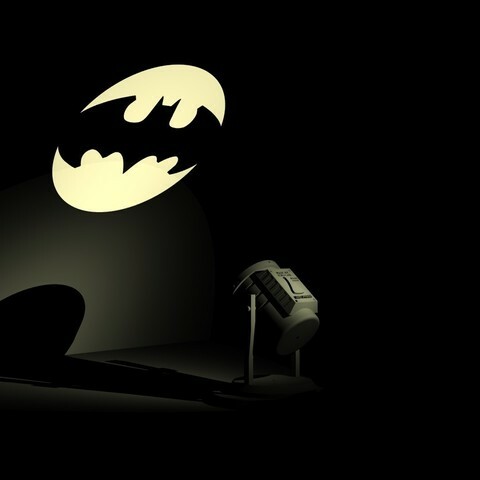 These sorts of lamps can be changed to different kinds of pop culture references. It is perfect for fans, small children or as a gift. 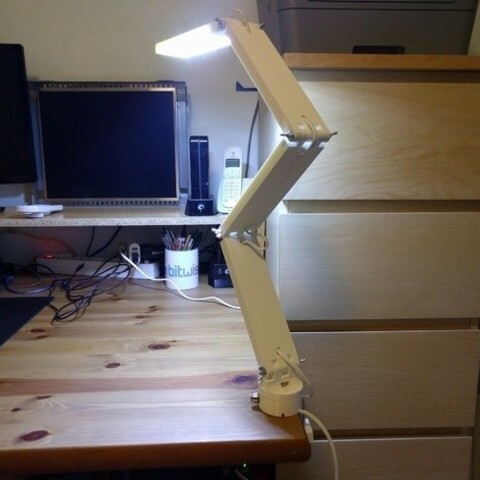 The 3D lamp is easy to assemble and mount. This uniquely designed lamp in the shape of a hand, has the support structure already integrated in its design. 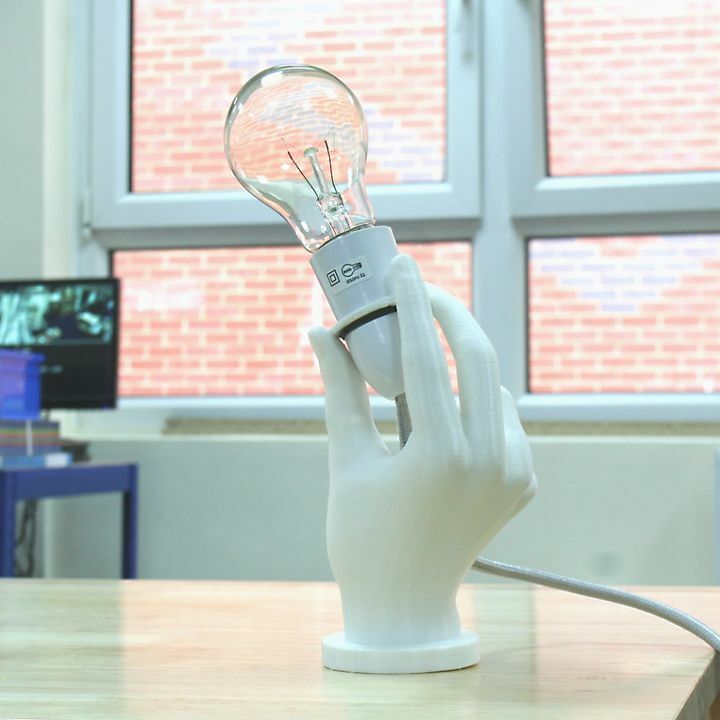 Any standard bulb will do for this 3D printed lamp. Due to its uniquely design, this lamp fits best in a minimalist home decor. The lamp can be mounted onto to the walls to give the lightning a wider angle. 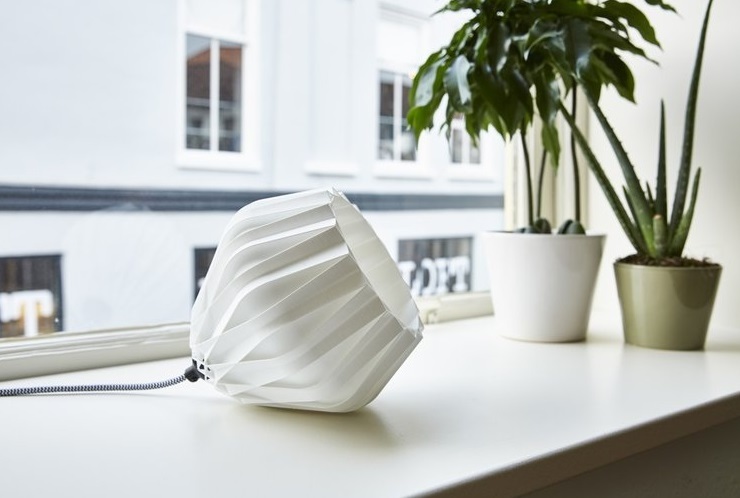 The Modular Flexo lamp is a conveniently placed 3D printed workspace lamp for spaces in need of some extra light. It is also focus adjustable without it being in the way or by taking up too much space due to its thin and sleek design. The parts are 3D printed separately but can easily be assembled because of the pre made 3D printed holes in each end of a segment. These segments only need to be interlocked with a small pin. Each segment also has a premade hole in order to easily run the cable through. This small squared shaped 3D printed lamp with a sleek futuristic design is powered by a battery instead of electricity. However, the lamp does need some electrical components as a result of the lamp’s battery needing to be charged with an USB port. In turn the USB port needs USB cable plugs. One fully charged battery result into 90 minutes of usage. The lamp is charged by placing it on a matching charging dock. 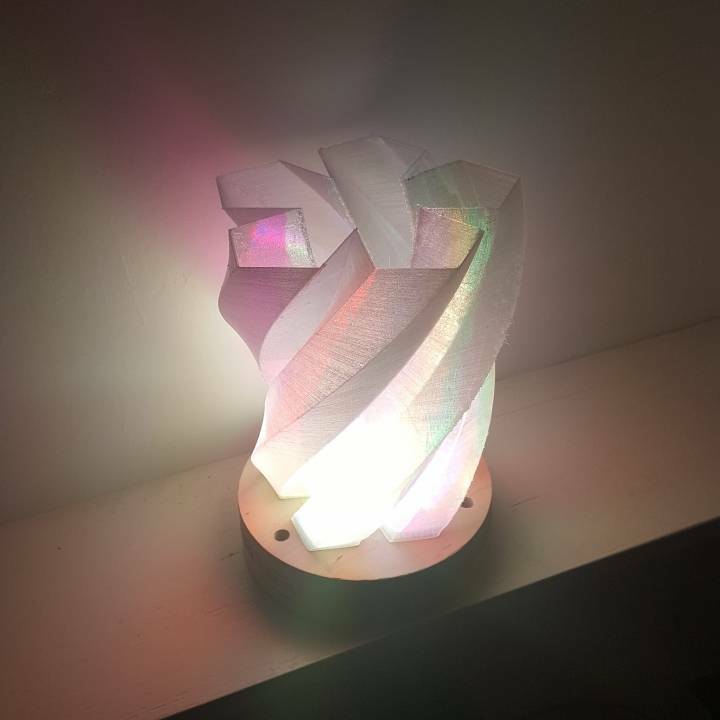 A semi transparent 3D printed lamp with the intriguing look of a rough crystal as a result of its geometric spiral shape. 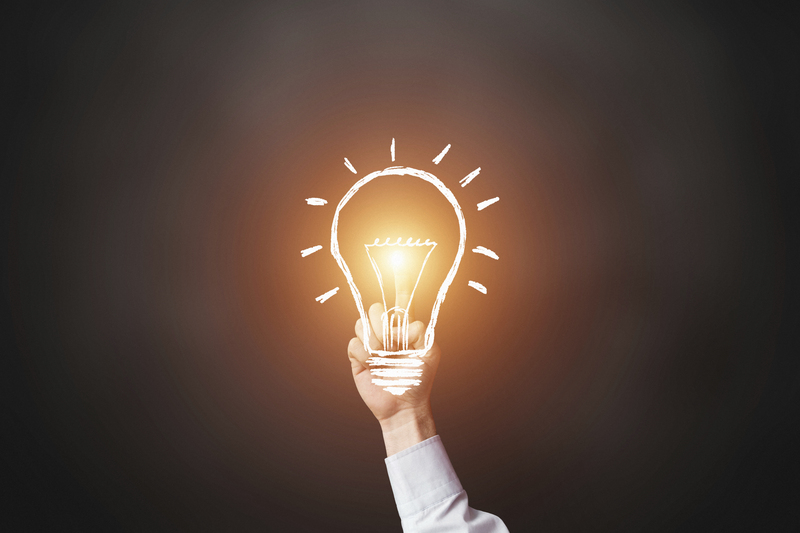 According to its designer, a colour changing LED is best used which results into amazing colours due to the transparency of the lamp. This lamp would fit perfectly in a Scandinavian styled home due to its white and plain nature with hints of bright and vibrant colours. 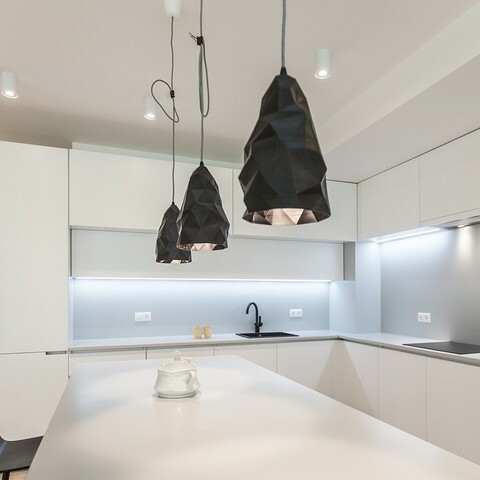 Any modern, minimalist or Scandinavian styled home is suitable for this sleek designed 3D lamp. Even its futuristic solar panel components are 3D printed along with its straight lined and plain coloured design. According to its designers Formation 3D France, this design received 1st place during the 3DPrint Lyon contest in 2016. A real eye catcher made to look like as if it’s delicate china or delft blue but created out of 3D printing materials. 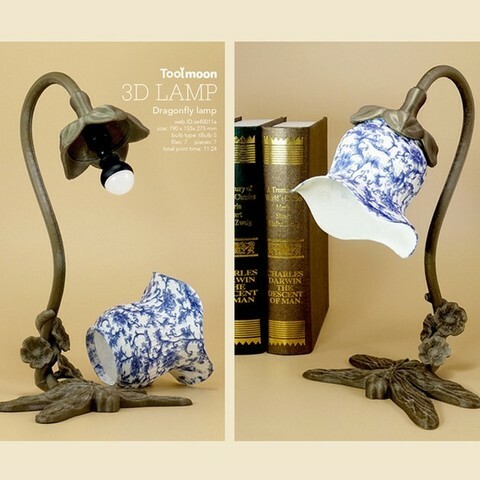 This 3D printed dragonfly lamp is well placed in a bohemian, shabby chic or traditional styled space with its antique look that could fool any antique expert for the real thing. 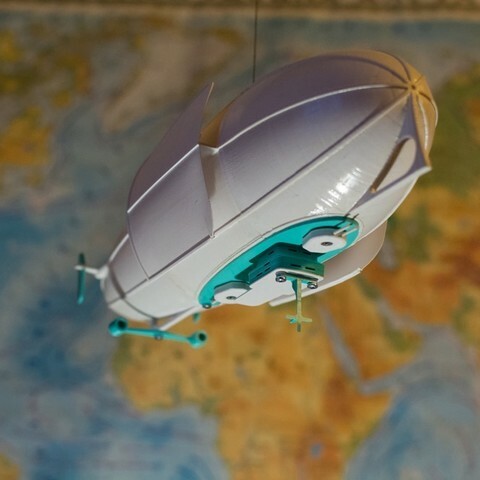 A zeppelin shaped 3D printed lamp, a perfect present to fit in any child’s room. 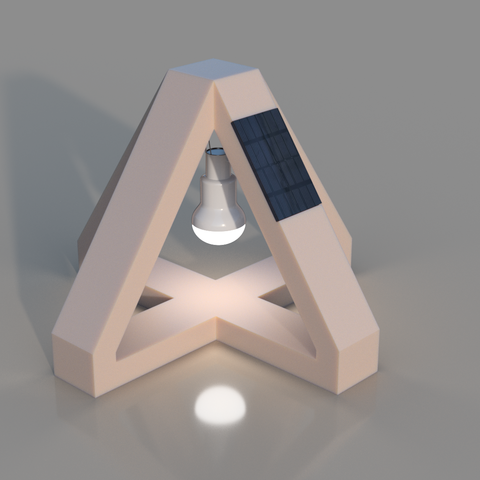 Even though the design is quite extravagant and as a result has to be printed into 1 big piece and 3 smaller pieces, the lamp does not need any extra components in order to support it except for some M3 screws for assembly. 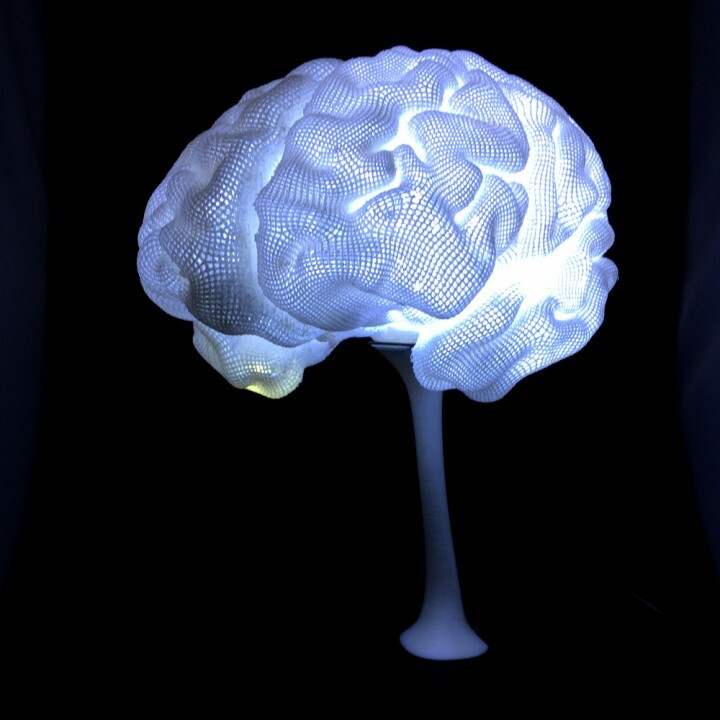 According to the designers, this brain lamp came into being by making use of an actual MRI scan of a human brain. 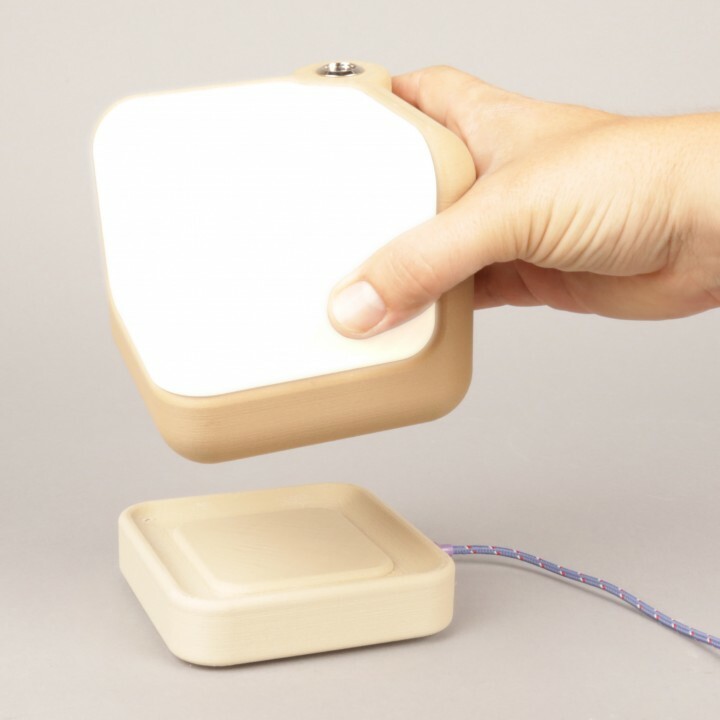 It’s a unique lamp that suits as a decorative piece in medical places such as hospitals or clinics. Each hemisphere only weighs 200 grams and thus only makes use of 200 grams of material. 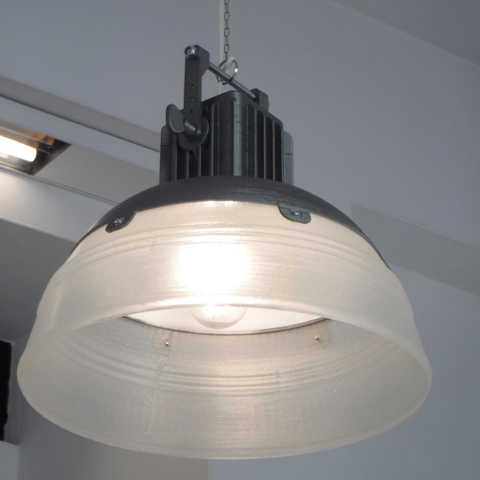 This 3D printed industrial lamp suits an industrial decorated home and requires no additional support. It will still be solid and strong enough due to the durable 3D printing materials which can be used to print this. The lamp only calls for a straightforward 6 screw assembly and two steel bars to be able to attach it to the ceiling. An aesthetically pleasing 3D printed lamp whose shape can be changed to different kinds of geometrical ones such as cones, cylinders, stars or pyramids. Each customer can indicate what kind of shape the lamp should be without making the personalization option result into extra costs. This lamp is suitable for any modern or minimalist home decor. An original way for customers to personalize their lamps without creating additional production costs. 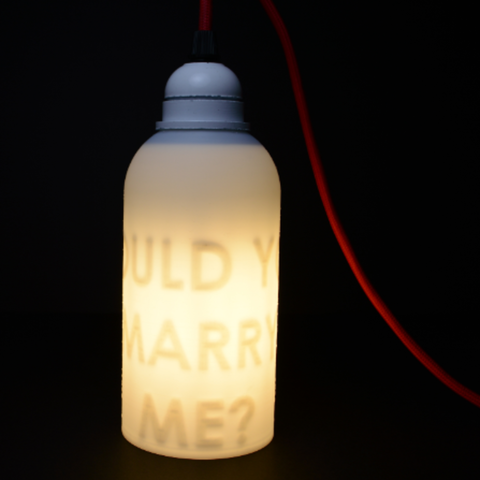 This 3D printed bottle lamp looks like a regular lamp when turned off, but when lit it shows a personal message to the viewer. This vibrant lamp with an unique split in the lamp shade itself and a see through base, is perfect for a Scandinavian themed home. Scandinavian homes need vibrant colours to pop out of the overall white decorative nature. 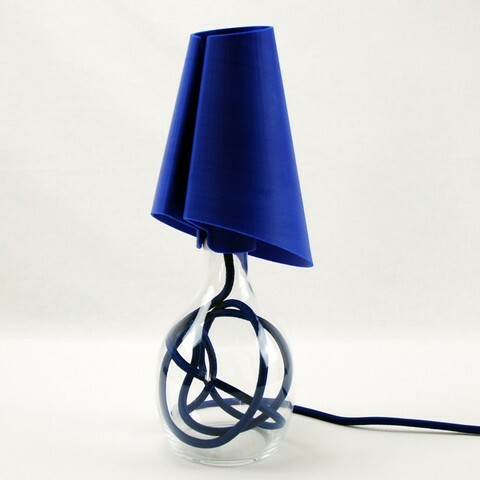 The colour of this lamp can be personalized as a result of additive manufacturing. 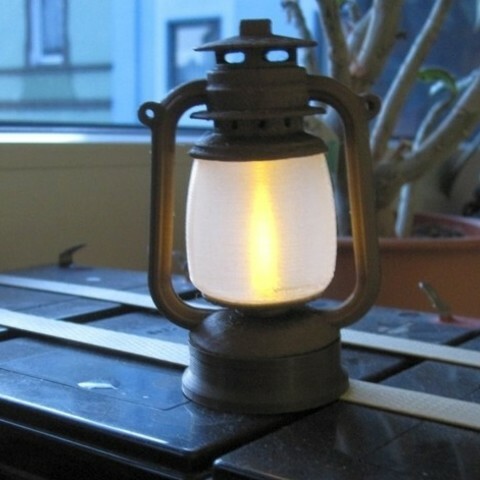 A 3D printed lantern ideal for bohemian styled or industrial themed spaces such as a garden or living room. This lamp is suitable as decorative standalone item as well without having to add electricity components. The spider lamp is a sturdy 3D printed lamp that would make a nice addition to any industrial themed space. 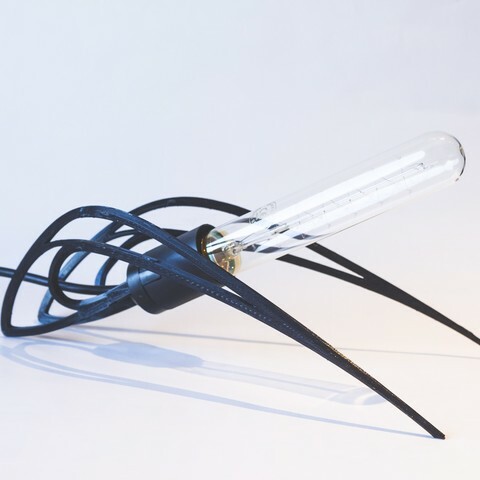 This table lamp with support legs in the shape of spider legs, is easily assembled with a bit of glue and heat in order to curve the legs more smoothly. How does additive manufacturing fit into the future for either the home decor industry or the home furnishing industry? So far, only a few companies have integrated 3D printing into their production process for their business in the home decor or home furnishing industry. The biggest benefits are reduced labour costs, reduced process steps, a smaller footprint on the environment and not being limited in design. The future of home decor products will be affected by the demand from consumers for more personalization and customization options. Besides the consumer’s demand for customization, the overall expectation for companies in general is to become more and more aware of their environmental impact and to lessen it. Additive manufacturing is an option for companies to pay more attention to for this might be the answer for possible future market changes.